Follow The Jump To Hear What Our Brides Had To Say. Be Sweet. Be Sparkling. Be Seductive. Follow The Jump To See Which Bride You Are. Follow the jump to learn what not to do right before your big day. Our Bride's have spoken and we did it AGAIN! Thank you to all of our amazing brides who reviewed us on Wedding Wire and sang our praises. We are thrilled to once again receive the "Wedding Wire Couples' Choice Award" for 2015! If you are in the market for a wedding Makeup Artist, make sure to click here to see what other clients have said about us. Our Brides have spoken and we did it again. I am excited to announce that Lace On-Location has won the prestigious WeddingWire Couples' Choice Awards for 2014, as determined by reviews from our past clients. The Couples' Choice Awards recognize our business as amongst the top 5% of wedding professionals nationwide. Lace On-Location has also once again received The Knot Best of Weddings 2014 Pick. Our work and love for this industry is reflected through the love our clients share with us though reviews. 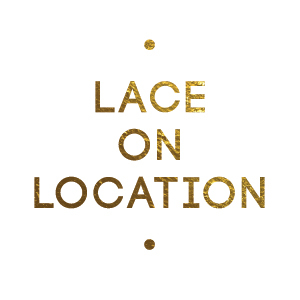 Lace On-Location holds a solid 5 star rating on all of our websites and we hope to be able to work with you on your next big event. Yesterday was such a fun day. I went to Demure for the filming of a new reality show here in Atlanta. I was so excited to learn that the lovely lady the show is based around attended Lace Cosmetics Launch Party! Small world/city. She was so kind and took a moment to mention Lace during filming. Thank You, K! Here is a snapshot I took. After they wrapped, I got an email from Wedding Wire which informed me that I had a new Review. Amazing Amanda! I can't say enough great things about her. My original makeup artist that I'd had booked for 7 months cancelled on me about 3 weeks before the wedding. I got in touch with Amanda through email and her response was super quick. We sheduled a trial run for a few days later. She even came to me at my Mom's house. My trial makeup was gorgeous!! We booked her on the spot! Wedding day --- Amanda was on time, and ready to go! In addition to me, she did the makeup for my 2 bridesmaids and my mom. It was an evening wedding and very formal so I wanted a pretty dramatic look. She worked with each girl to achieve their best look, and I must say everyone looked stunning! My makeup was even better than the trial! I couldn't have been more pleased. I got so many compliments on my makeup that night! Amanda was fun, and easy going. I will definitely use her again and recommend her to anyone in need of makeup! P.S. GET THE LASHES!! They are worth it! We all got them and they photograph beautifully and look natural. I love my work and I love my brides :) Blessed.